I've just finished my menu and shopping list for the next few days and this is on the list....this AND the soup! I only made my plans thru Monday in hopes that SOMETHING will come in by then so I can get some new ideas. The chicken lo mein is awesome. Definitely want to try this one, so it's good to hear some other, favourable comments. Fortunately, I DO already have some Sherry, so this recipe isn't much of a stretch. Wish I would also make that pork dish, but cannot get the rice wine, let alone a whole bottle of it (that's what the recipe said! ), and I just can't bring myself to use a whole bottle of Amontillado in its place. Which should I use for the lo mein? I also have some linguine. 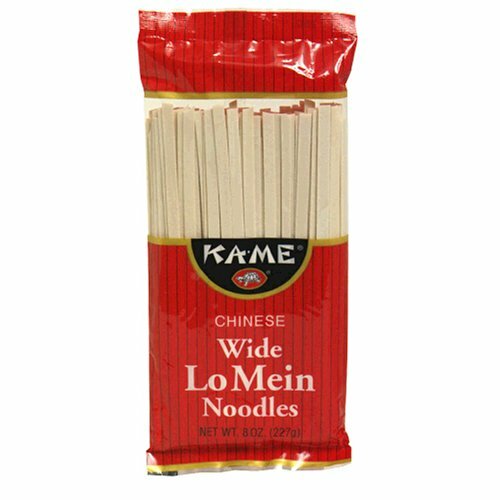 Those ones labelled "Wide Lo Mein Noodles" certainly ARE wide! They could almost be Chow Fun noodles (if they were made out of rice). 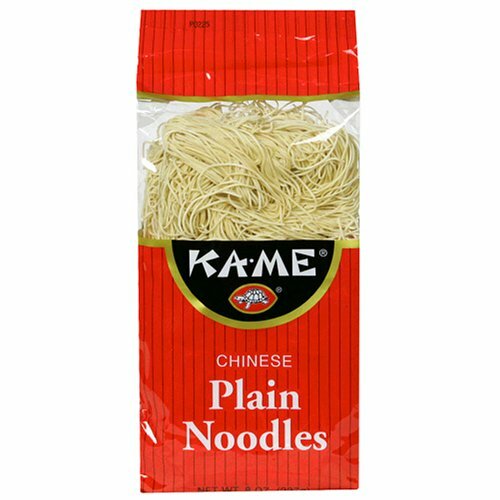 For this recipe, I'd probably use the wide ones, and save the "Plain Noodles" for Chow Mein. Those ones labelled "Wide Lo Mein Noodles" certainly ARE wide! I know! I was hoping for something round and in-between...but not happening! They are not rice noodles...got those, but knew that wasn't what I needed. I must disagree with Labs on this one - the rule of thumb with those noodles is wide with strong dishes (like Beef) and the thinner with a lighter dishes, like chicken. I could go along with that. Otherwise, I was just saying what I have seen, not any particular rule(s) I have heard. Thanks Jean. BTW, while in Southport yesterday Mom took me out to Thai Peppers. I had a wonderful Garlic Pepper Chicken...forgot the name. 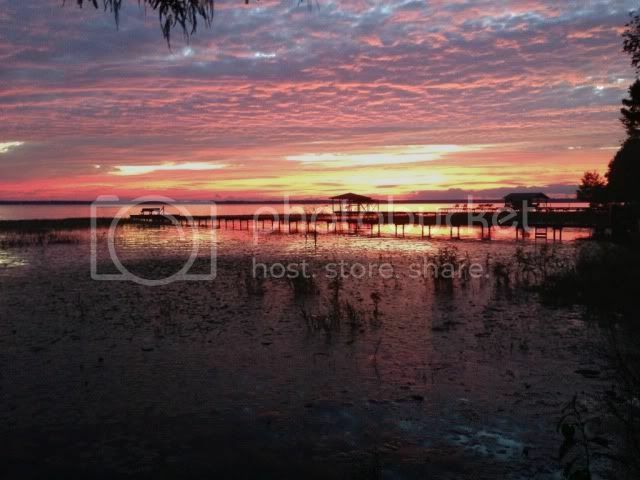 It was wonderful! Also, as Theresa said, I think 3 is the right amount of servings...minus the soup. The small noodles were perfect! It was easy for a weeknight, too! I got everything cut up while the water boiled! I'll be having these ingredients on hand from now on for a quick dinner when I'm tired. Okay, I'll stop rambling now...it's just that the smell is still lingering! And it was that good! Daphne, I made this for dinner last night, too, and it was indeed very, very good. I halved the recipe and it was perfect for us since DH usually eats a "2 serving" portion. Because I had an open packet in the pantry, I used Japanese udon noodles instead of the Chinese egg noodles called for, subbed sugar snap peas for the snow peas (had them on hand), and added 1/4 teaspoon of ground black pepper to the seasoning sauce. YUM!!! Thanks for posting this, Jean, as it's going into the "keep" file (I hope to get the recipe up on my blog in a few days, too).